The event takes place at Martin St & Lakeshore Dr W, Penticton, BC V2A 7M5. See Course page for more details. 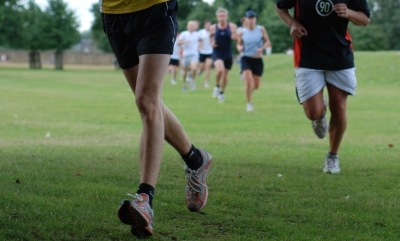 It is entirely organised by volunteers - email pentictonhelpers@parkrun.com to help. Every week we grab a post parkrun coffee in the Hide Away café, 93 Winnipeg St, Penticton, BC V2A 9C2 - please come and join us! See our volunteer page for details on getting involved in making Penticton parkrun happen. Don't forget paper barcode! See your initial registration email, your weekly parkrun newsletter, previous results emails, or you can request a reminder email. Phones don't scan, so please bring a printed copy.